In Napa Valley’s Wine Country, you can live the lifestyle you have always wanted in the home you’ve always dreamed of. 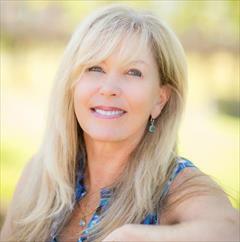 For over 15 years, Dynie Sanderson has been helping buyers and sellers with all their real estate and relocation needs in Northern California’s Wine Country. As a creative marketing strategist and a savvy negotiator Dynie specializes in real estate throughout Napa County from the quintessential luxury vineyard living in the Napa Valley, to great listings in the epicurean renowned community of Napa, to the quaint, cozy feel of the Villages of Yountville, Saint Helena and Calistoga, to the growing community of American Canyon and the neighboring hamlet in the town of Sonoma. Dynie is skilled real estate consultant who educates and guides her clients through the real estate process, and is most concerned with making their home buying experience a memorable one, placing their needs above everything else. When it is time to create the recipe to your dream home or developing the perfect ingredients to selling your home, Dynie, Napa’s Gourmet Realtor, has the resources you can count on. Napa Valley Realtor and Dream Home Specialist by Day. Food enthusiast 24/7. A Thirst for Travel – INSATIABLE. Experiencing all life has to offer – PRICELESS! Dynie has been with the REMAX brand for over 10 years and 13 years as a top producing agent in the region. Recently honored with the coveted Hall of Fame Award in the REMAX International organization, which is an exclusive group of REALTORS who have experienced successful careers within the company and where only 12%of their agents have achieved this prestigious award. RE/MAX Gold is the number #2 RE/MAX franchise in the World of RE/MAX and the #1 independently owned real estate company in California with 25 offices and 750 agents selling over 10,000 properties per year with close to 3 Billion in sales.